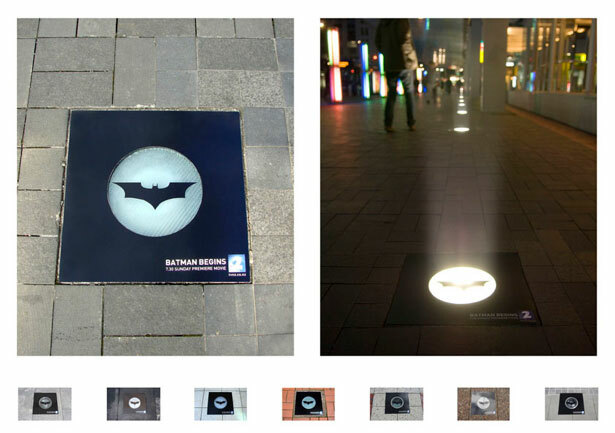 A great campaign to mark the launch of ‘Batman Begins’ on New Zealand’s TV2! 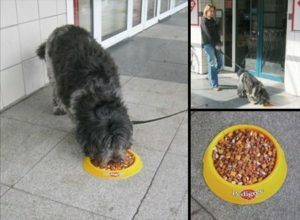 Back in 2007, stickers were placed on top of the lights on footpaths in Auckland: fairly plain advertising during the day, but a different matter at night. When the lights were switched on, the sticker was illuminated, the beams of light exposing the bat logo in the centre. 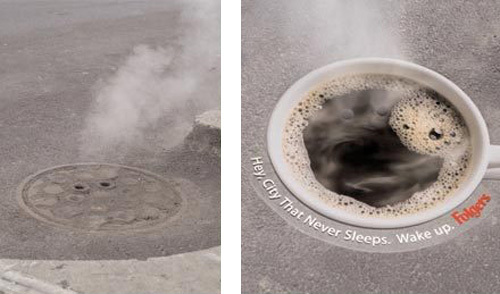 Everyone has seen images or videos of the steaming manholes in New York, but it was in 2006 that a US company had the brainwave of using these in a guerrilla marketing sticker campaign. 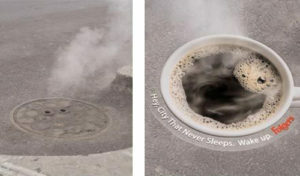 Folgers Coffee covered these manholes with stickers resembling cups of coffee, featuring small holes to allow the steam to escape. Genius. 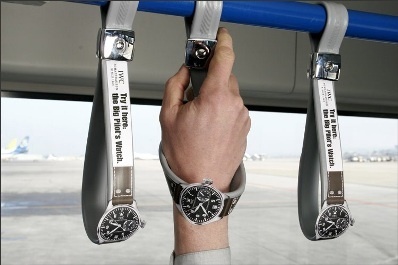 Most brands would never have considered using the hanging straps in buses to advertise their products…but the Big Pilot’s Watch did. 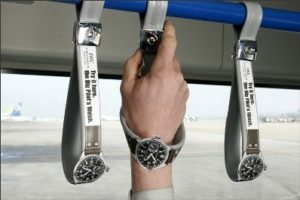 The brand used images of the watch on the hanging straps, allowing those using the straps while travelling to catch their plane could see what the watches looked like on their own wrists. When you’re advertising a razor and looking for guerrilla marketing ideas, you want something smooth. In Brussels, the Wilkinson Quattro Titanium razor was marketed in this way…via eggs. 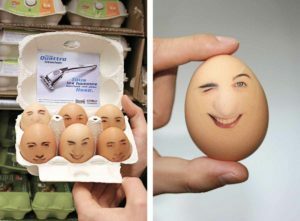 Transparent stickers featuring men’s faces were carefully placed on the shells of boxed eggs, while a flyer with a promotional deal was placed inside the box.